Lilian C. J. Wong, B. Sc., M.A., Ph.D., was Associate Professor and School Counselling Coordinator of the MA Graduate Program in Counselling Psychology, Trinity Western University, B.C., and Associate Professor of Psychology at Tyndale University College, Toronto. As a public educator for over 20 years, her roles included guidance and special education specialists, Psycho-Educational Consultant, and School Psychologist for several school boards in Ontario and British Columbia. She is internationally recognized for her research in multicultural competencies in supervision, and ethical issues in cross-cultural counselling and psychological assessment. She has developed the Meaning-Centered approach to Play Therapy. She is co-editor of: The Handbook in Multicultural Perspectives on Stress and Coping (2006); The Positive Psychology of Meaning and Spirituality (2007); and The Positive Psychology of Meaning and Addiction Recovery (2013). She is on the Executive Committee of the Canadian Association for Child and Play Therapy (CACPT), and Steering Committee of the Ontario Alliance of Mental Health Practitioners (OAMHP). She is Vice President of Meaning-Centered Counselling Institute Inc. (MCCI). She was co-chair (2011-2013) for the Supervision and Training Section of The Society of Counseling Psychology (Division 17) of The American Psychological Association (APA). 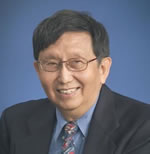 Paul T. P. Wong, Ph.D., C.Psych, is Professor Emeritus of Trent University and Adjunct Professor of Saybrook University’s Clinical PhD Program. He is a Fellow of APA and CPA, and President of the International Network on Personal Meaning (www.meaning.ca) and the Meaning-Centered Counselling Institute. Editor of the International Journal of Existential Psychology and Psychotherapy, he has also edited two influential volumes on The Human Quest for Meaning. A prolific writer, he is one of the most cited existential and positive psychologists. The originator of Meaning Therapy and International Meaning Conferences, he has been invited to speak worldwide.